"WHACK FOLL THE DADDY-O, THERE'S WHISKEY IN THE JAR"
Whiskey is an impressive drink, we could debate for hours why Irish whiskey is spelt with an ‘e’ and Scottish whisky isn’t? Or what the hell makes bourbon bourbon? But something we can all agree upon is that the coolest whiskey has to be a bottle of Jack Daniels. When I realized our southern road trip was going to bring us within spittin’ distance of Lynchburg, Tennessee, I crafted Róisín a fake ID and barrelled straight to Jack country. Surprisingly, the first thing we learned is that Lynchburg is a dry county! It has been that way since prohibition. In order to legally sell thirsty hordes of tourists the magical mooonshine the distillery sells special collectors decanters, which just so happen to contain whiskey. It felt strange to buy bottles of whiskey on a road trip but when they offered to engrave the bottles to our customisation, oh hell yeah, best Granddad Christmas present ever! We were a little early for the next tour so we decided to take in the town. It’s a three minute walk from the distillery, and then another three minutes and you’ve seen everything there is to see in Lynchburg. The town has a population of 391 people, when I lived in London, 391 people would get on my bus everyday! 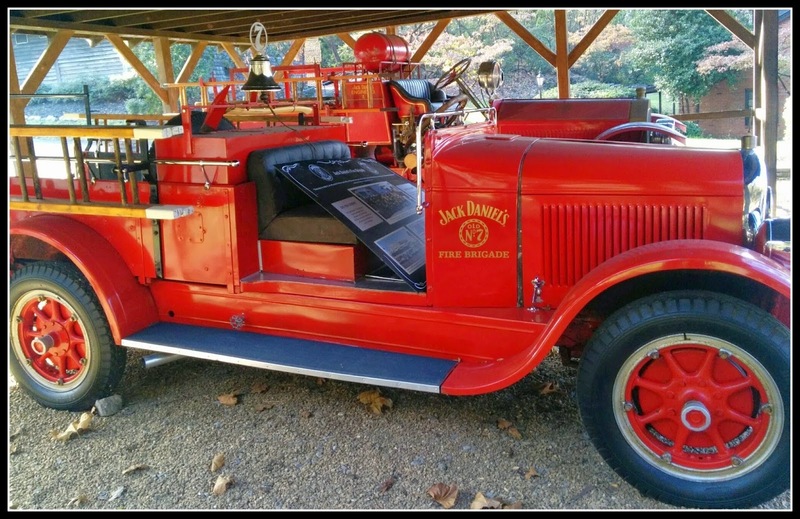 Close to the antique store, across from the ice cream parlour is a shop devoted to Jack Daniels paraphernalia. I believe I may have jumped and even yelped a little when I saw they sold the classic black t-shirt with the iconic Jack Daniels label. It was a popular fashion item 20 years ago, you never see it now. Going back 20 years (to my teens) I may have stolen such a t-shirt from my unsuspecting brother. I wore it with my levi 501s and and my converse and thought I was exceedingly cool. I probably was until I teamed it with a paisley shirt (don’t laugh, it was the fashion, we all did it). Anyway, I now had an opportunity to return the t-shirt to my brother, another awesome Christmas gift bagged. The shop sold everything I could ever possibly need for my future whiskey room (if I one day have a mansion, one room will be a whiskey room). I don’t drink the stuff myself, I think you have to have the constitution of a horse to actually imbibe it. I just like the idea of a whiskey room. In my opinion whiskey shouldn’t be mixed with coke and slammed repeatedly into your face as you slowly slither down the side of a bar. It should be sipped, quietly, slowly, in the company of a few good men, or women, or both. When I wasn’t squashed on a London bus with 391 people I was standing on a London tube platform staring at Jack Daniel adverts. They spoke of a place untouched by time in deepest, southest (not a word, just go with it) America. 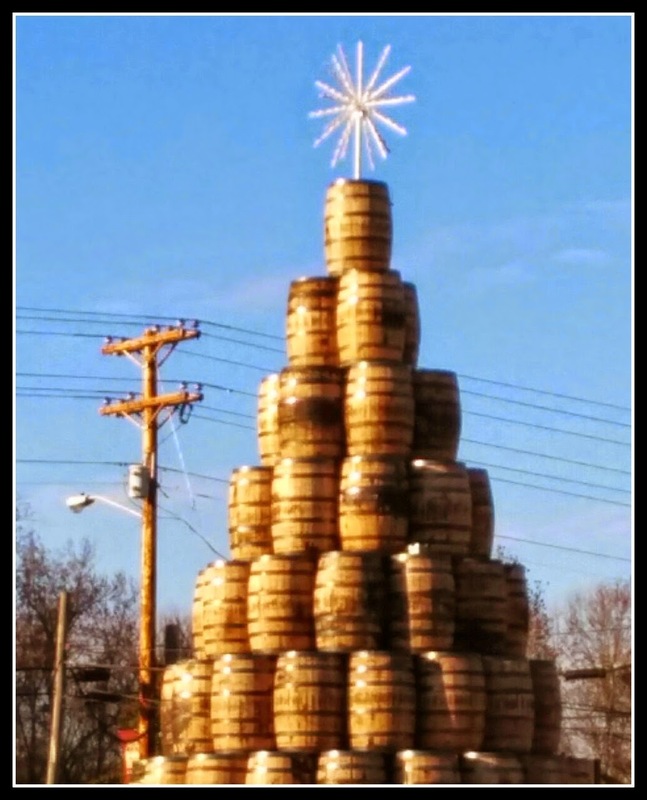 Where Christmas trees were made out of barrels of whiskey and the first Friday of every month the employees were each given a bottle of Jack to take home. Surely this was just clever advertising, nostalgia of a past that never quite existed, it couldn’t really be like that… or could it? Oh brother, it sure could! The place is exactly like the London underground ads. Our tour guide had a southern accent right out of Huckleberry Finn. 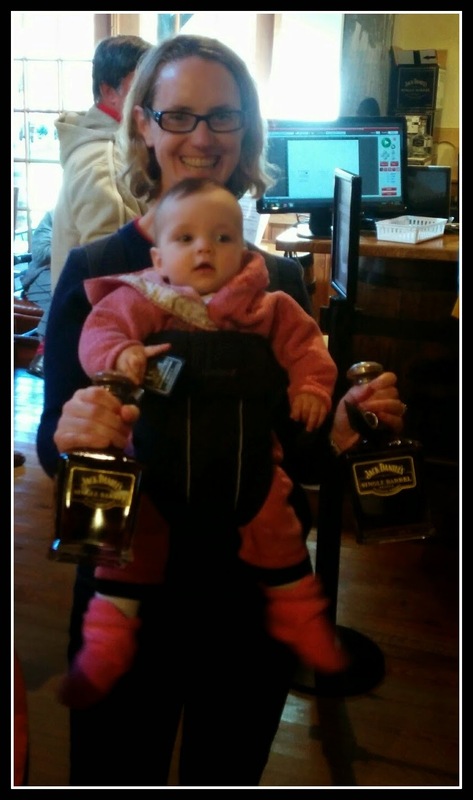 She confirmed that employees are indeed given a bottle of JD every month (a nice bonus in a county where you can’t buy alcohol). The tour started where every good tour should, a fire in the rick yard. It wasn’t technically on fire at that exact time, but that is how the JD process begins. Pallets of maple wood are soaked in a bottle of Jack and set on fire (I’m not kidding). When the fire dies out the charcoal that is left is gathered together and becomes the final step in the whiskey making process. If you want to know the difference between whiskey and bourbon, put down your scotch and pay attention… The whiskey is dripped through the charcoal, before it drips through it is a bourbon (bourbons go straight from fermentation to being aged in barrels). After it is dripped through 10 feet of charcoal it becomes a Tennessee sipping whiskey. The tour group filed around in a circle and peered into the vat of corn, barley and rye that had been mashed and cooked. Add yeast, water and ferment, the sugars will turn into alcohol and the vapours become pure whiskey. The first evaporation is 140 proof whiskey called white lightning. We took turns having a split second whiff, holy mother of god, it was powerful, powerful stuff! We got to stroll through the barrel house. The distillery makes its own barrels, no glue, no nails, nothing that could taint the whiskey. It amazingly contained 20,000 barrels, and more amazingly, where the barrels are placed influences how they are aged and therefore how they will taste. One lucky man has the job of master distiller and decides by colour, consistency and taste when a barrel is ready. 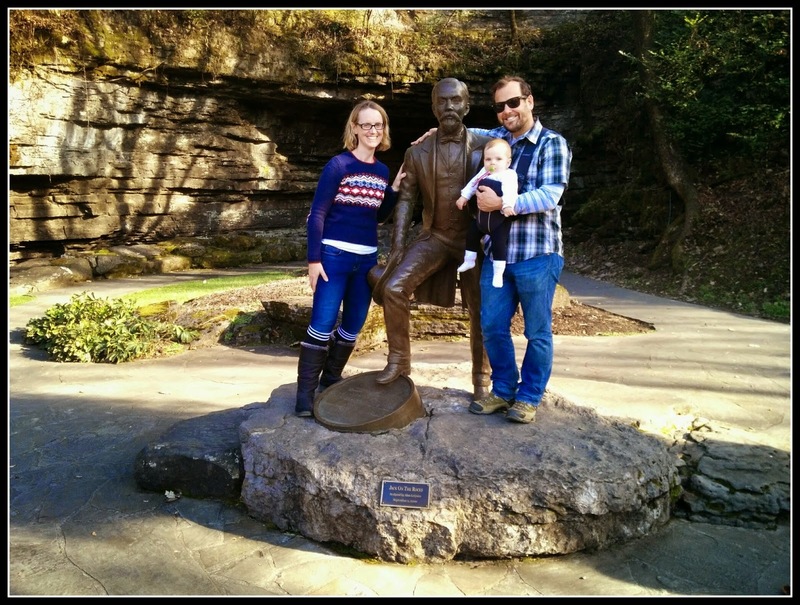 We walked through the original office belonging to Jack Daniels. 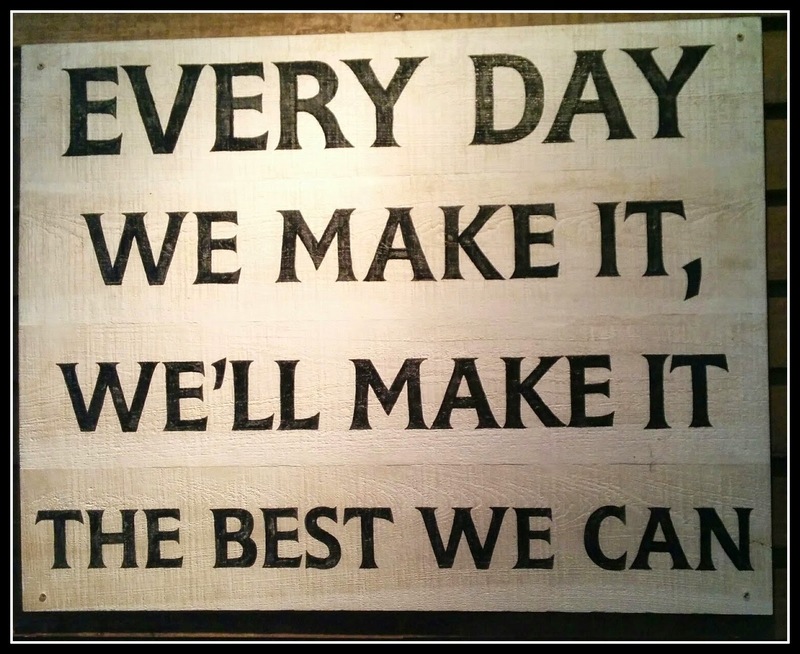 His motto nailed to the wall read ‘Every day we make it, we’ll make it the best we can’. 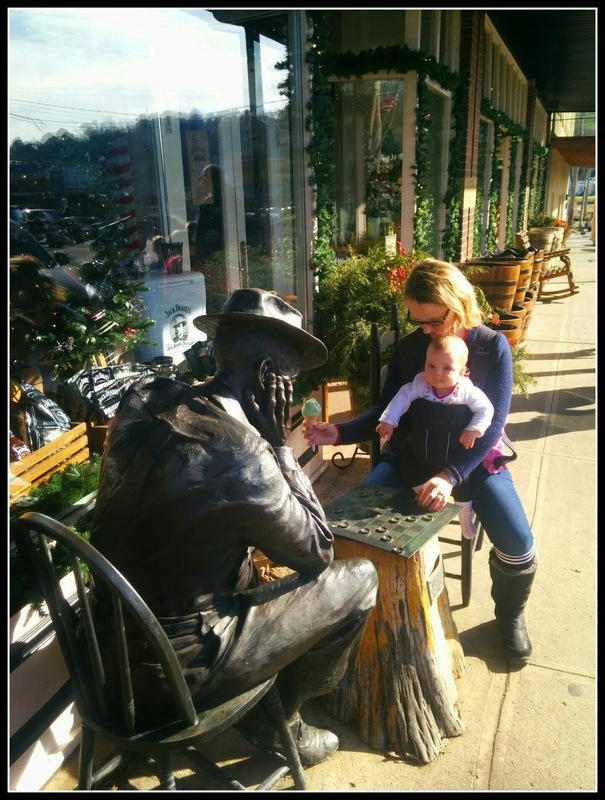 It was fascinating to hear about the man behind the bottle, ‘Jack’ was a nickname, his first name was Jasper. He started making whiskey when he was 7 years old from the same spring the distillery uses to this day. Jasper was a petit 5 foot 2 inches. (The last fact is largely irrelevant yet created quite a stir among the tour group). What timing Sheilagh, we were discussing last night how we had never drunk JD ( not whiskey fans ) and what the difference between whiskey and bourbon is!